Dr. John Goolsby is passionate about helping his patients rebuild a smile after teeth are lost. Clinton Family Dentistry provides dental implant placement and restoration in Clinton and the surrounding communities. Schedule an appointment today to see if implants are right for you. The first step in the dental implant process is to place the main implants themselves. These titanium screws are surgically added to the jaw, where they integrate with the bone. This fusion turns the implants into artificial tooth roots, granting the entire treatment resilience and a natural feel. Our use of the Galileos® cone beam scanner and the CEREC® system allows our Clinton dental practice to place implants effectively. 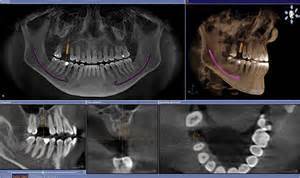 As a radiography technology, Galileos® gives Dr. Goolsby a thorough view of the smile, from the visible oral environment to the structures beneath the teeth and gums. Meanwhile, CEREC’s computer-aided design program plans how the prosthetic on the implant will fit into the smile; this plan is compared to the possible placement options Galileos produces to determine the best placement method for your case. Through this planning process, we prepare and then conduct the placement surgery with heightened accuracy and effective results. 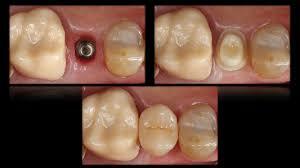 After the implants have fully integrated, the restorations can be added to them. These prosthetics—crowns, bridges, and dentures—serve as the visible, functional teeth within your smile, and are made with the aesthetic and durability you deserve. After being developed using our CEREC system, your unique restoration designs are sent to a prosthodontist. This specialist then fabricates the crown, bridge, or denture you need for your implants. 2- PLACEMENT AND HEALING OF THE IMPLANT (SURIGICAL PHASE); FOLLOWED BY HEALING TIME. Dental implants are a preferred restoration method for several reasons. An implant is stable and comfortable, featuring no loose parts. They look, feel, and function like natural teeth and serve their owner for life. Implants also prevent the shrinking of the jaw that occurs when the jaw bone no longer has teeth roots to support, in turn halting the premature aging process lost teeth cause. 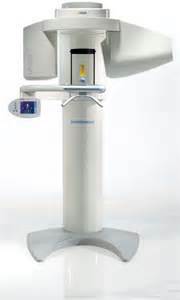 There are also advantages specific to our use of Galileos and CEREC in supplying implants. Galileos offers a high level of surgical predictability, resulting in greater success for the implantation process. Galileos and CEREC’s computer-aided design software are both offered in house, so getting dental implants from our practice requires fewer appointments than average. Additionally, all the data gathered by these machines are stored in a digital patient record and can be shared with dental specialists when necessary. Clinton Family Dentistry offers the entire dental implant process near Clinton. If you are healthy enough to have a tooth extracted safely, then you are most likely healthy enough to receive implants. For more information, call us today and schedule a consultation.